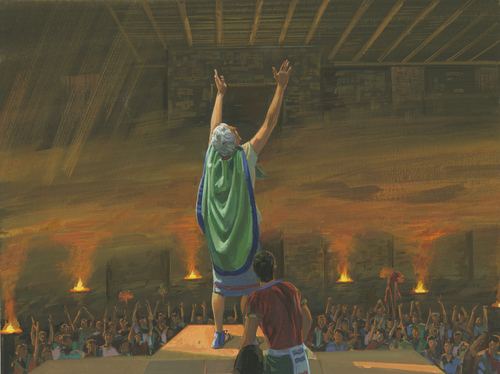 The Zoramites had once belonged to God’s Church but had become wicked and were worshiping idols. 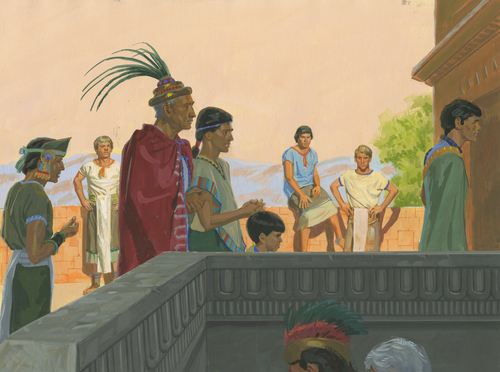 The Nephites wanted to keep the Zoramites from joining the Lamanites, so Alma went with some other missionaries to preach the word of God to the Zoramites. 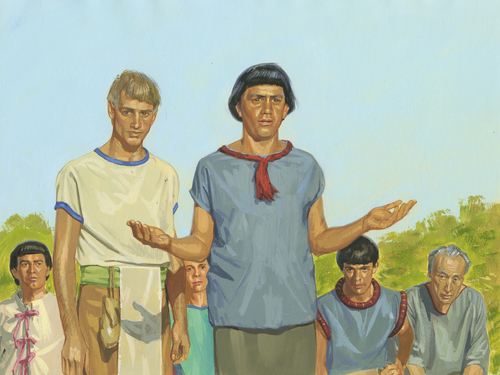 These missionaries were surprised and upset at how the Zoramites were worshiping in their churches, called synagogues. 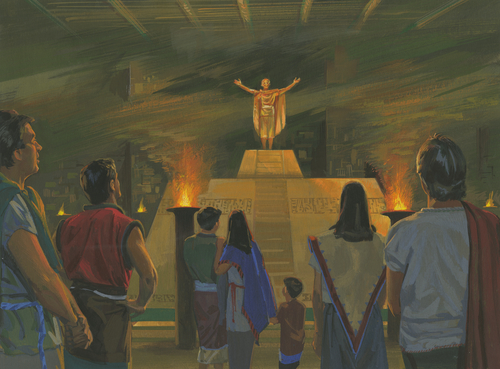 In the center of the church, the Zoramites had built a high platform called the Rameumptom. There was room for only one person to stand at the top. 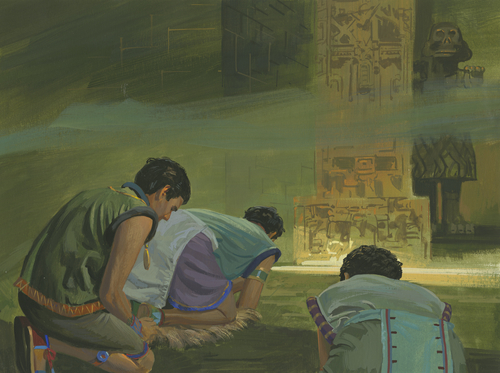 The Zoramites took turns standing there, reaching toward heaven and loudly reciting the same prayer. In this prayer, the Zoramites said God does not have a body; he is only a spirit. They also said there would be no Christ. 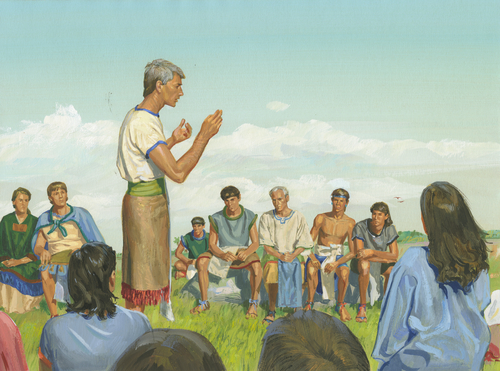 The Zoramites thought God had chosen only them to be saved in the kingdom of heaven. They gave thanks for being his favorite people. 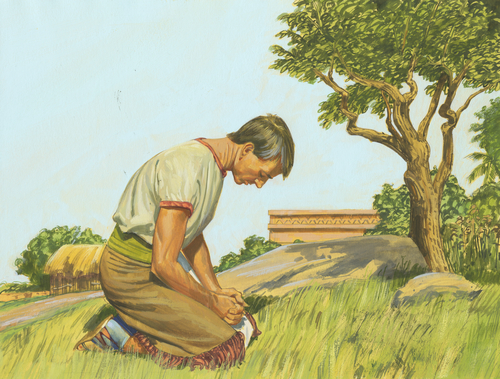 After each of the Zoramites had prayed, they went home and did not pray or talk about God again for an entire week. 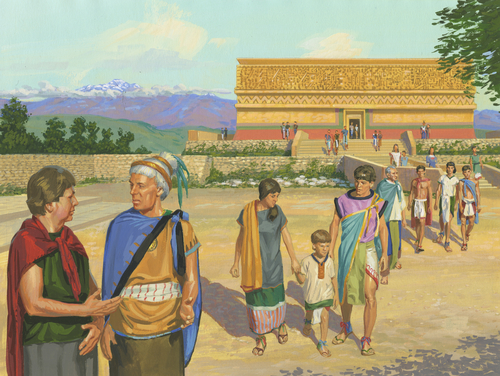 The wealthy Zoramites loved gold and silver, and they bragged about their worldly treasures. Alma was sad to see how wicked they were. 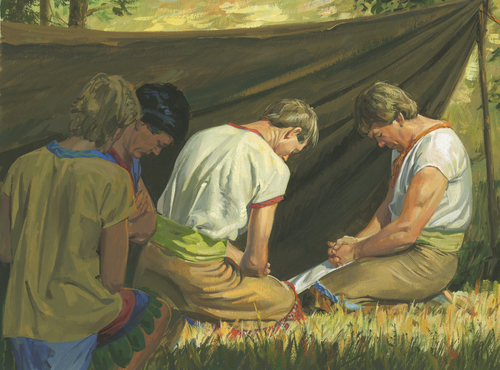 Alma prayed for him and his missionaries to have strength, comfort, and success in their work. 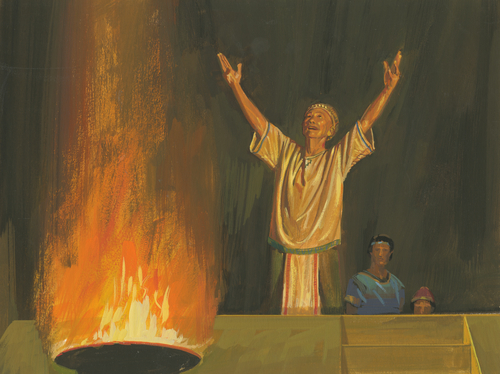 After asking for help to bring the Zoramites back to the truth, Alma and the other missionaries were filled with the Holy Ghost. The missionaries then went in separate directions to preach. 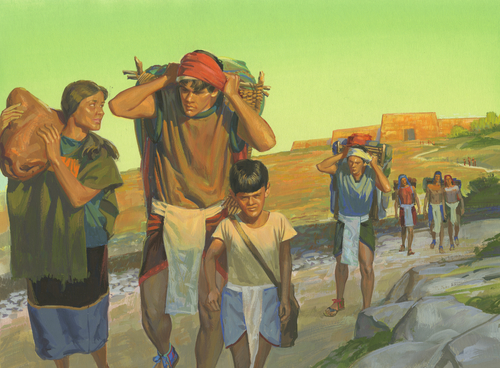 God blessed them with food and clothing and strengthened them in their work. Zoramites who were poor were not allowed inside the churches. 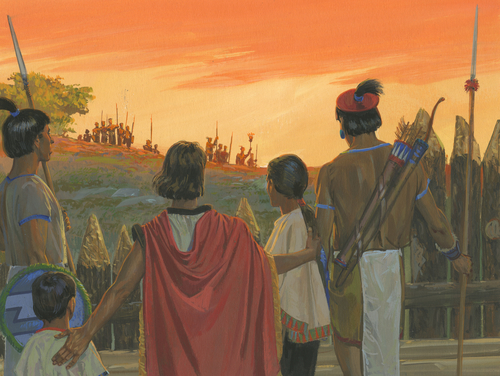 These people began listening to the missionaries. Many asked Alma what they should do. Alma told them they did not need to be inside a church to pray or to worship God. He told them to have faith in God. 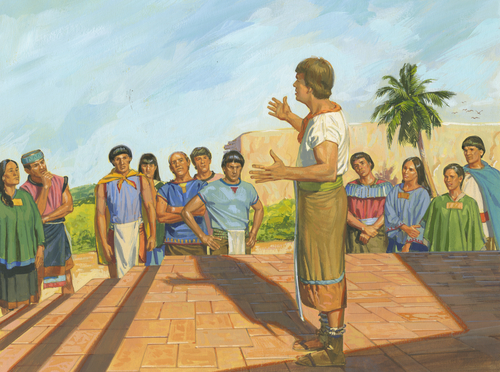 Then Amulek taught them about Jesus Christ and about God’s plan for his children. 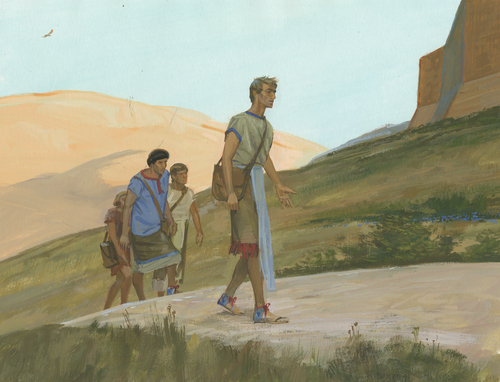 The missionaries left, and the Zoramites who had believed them were thrown out of the city. 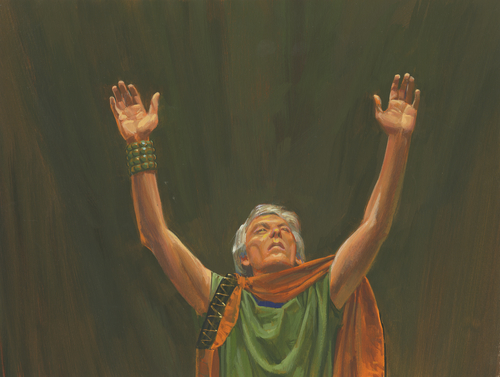 The believers went to live in the land of Jershon with the people of Ammon. 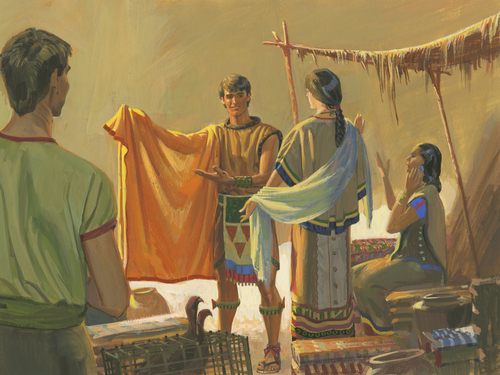 Although the wicked Zoramites threatened the people of Ammon, the people of Ammon helped the righteous Zoramites and gave them food, clothing, and land.